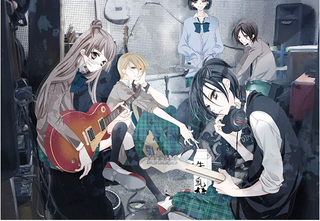 A Shoujo Manga with a Music thematic. On the cover of the newest issue of Hakusensha´s Hana to Yume it has been revealed that the manga of Fukumenkei Noise will have an Anime adaptation. Most details are still scarce though.